Back in February I visited the Stockholm furniture and light fair, a trade show that has been on my wish to visit list for some time. It’s the largest interiors show in Scandinavia, for over 60 years the show has attracted the public, press and trade (the first fair being held in 1951), and this year I took a look for myself. The Guest of Honour – an area in the central hall designed by the British design studio Barber & Osgerby. Trend Exhibitions – Nature is the theme, 3 designers, Swedish designer Emma Olbers, Finnish interior stylist Susanna Vento and Danish interior stylist Christine Rudolph, designed their own sets to celebrate this trend. Greenhouse – Showcasing up and coming designers and design schools. 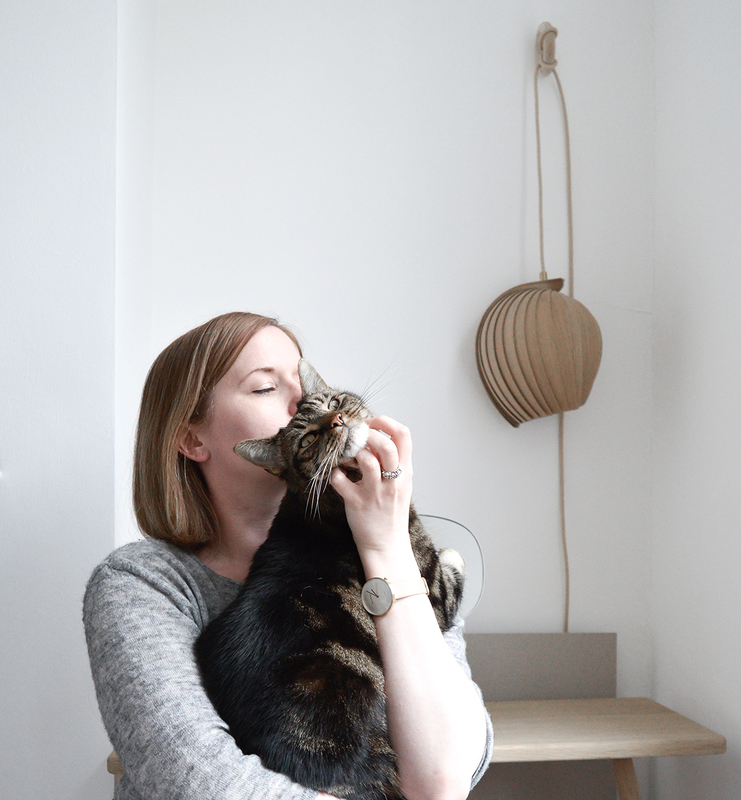 I was blown away by the talent, the future of Scandinavian design looks exciting. Established – A new area featuring established designers and studios, promoting diversity in the industry from small scale production upwards. They are treated with the same respect. Exhibition Aurora – The common good! – Created in collaboration with Swedish Association of Architects, highlighting the lack of housing facing contemporary society. Exhibition Aurora – Nordic Conditions – This exhibition takes a look at the 5 Nordic countries and how even though they are similar in culture, they are varied in design. This Swedish furniture company is over 150 years old with the oldest (Swedish) furniture factory in the forests of Småland. A true testament that craftsmanship,quality, detail and simplicity. Bent wood chairs, a technique also used for the famous Thonet chairs, are incredibly strong and made to last. Gemla uses Ash and Beech wood which is typically Scandinavian with accents of organically tanned leather for added comfort. A classic and clean design, I seriously love these! Among the classic colour choices, String shelving is now available in black and in stainless steel. This stand was a dream and I can’t express how much this clever styling makes you want to buy the product asap! My heart was pounding in my chest and wanted it ALL! …. breathe……. Super talented stylist Lotta Agaton, is the talent behind this String’s styling, giving them a huge boost in popularity. I adore her work and love the String brand, maybe this will be my next purchase. Finnish design company Artek had a number of exciting announcements with it’s first collaboration with Ronan & Erwan Bouroullec , named the Kaari Collection. This simple collection of tables and shelves fit well within the Artek style. View the Kaari range here. But what got me all hot under the collar was Artek presenting two classic designs by Finnish master Ilmari Tapiovaara. Firstly celebrating it’s 70th anniversary, the Domus chairs originally designed for student housing in 1946 in Helsinki, now available through Artek in a number various finishes. Secondly, and this is my favorite, the Kiki collection. Designed in 1960 by Ilmari Tapiovaara, modular seating designed for both public and private spaces. Artek presented the entire collection, available in a wide range of fabrics. I particularly loved this fabric below, supplied by Kvadrat. View the full Kiki range here (dwg’s available). Danish brand Normann Copenhagen had a huge stand with lots of new products including the award winning Form chair ( I have a mini version on my desk). What caught my eye was this quite unusual rug, the Trace rug is quilted with a beautiful pattern and grey tones. At first sight I thought it was a throw but closer up I could see that it was much heavier and rug like. The designers Sarah Böttger and Hanna Emelie Ernsting wanted this rug to be inviting, making a space feel cozy. I must say the cushioning effect does make me want to lay on it! In front of this rug are the really cool Amp lamps. Yes I know that I was in Sweden but the Danish design presence was quite big, Ferm Living are celebrating their 10th year anniversary (yey) and have launch a number of stunning new products. These Outline bookends inspired by Bauhaus the design is incredibly stylish and create a perfect design detail on your selves. ” The café is a culturally significant place…..where people regardless of their social standing can meet, share, and develop daring, artistic or political ideas… Imagine Kraus, Los, Picasso, Sartre, Havel, Prevert, Beckett, Perec + all the others sitting in that fruitful atmosphere that only a café has to offer”. As part of Stockholm design week there were many exhibitions around the city, including the Stockholm furniture fair of course. In a previous post about the Note Design Studio/ Residence mag exhibition at ArcDes, I spotted a stunning chair by Swedish company Fogia. They also had a large stand at the furniture fair so it felt like they had a great presence within the whole of design week. This Sling sofa was so cute. There were so many other Fogia products that I’ve fallen in love with, like the Bollo armchair and Arch shelving, a brand I recommend that you MUST follow! Thinking back on my visit, it was incredible, I’m still noting things down that I’ve seen, well worth the trip to Stockholm or should I say a PERFECT excuse to go to Stockholm! Nice article Hannah! This is probably one of the best fairs of this kind in Europe. Amp lamp is great! Can you share some more pictures?